Last updated 26 November 2018 . By Anisah Audu. In a world where 9 to 5s dominate our lives, we live for after-work drinks and weekend boozing. If like us, you come alive at night, then you'll want to head to Nocturnal Animals. 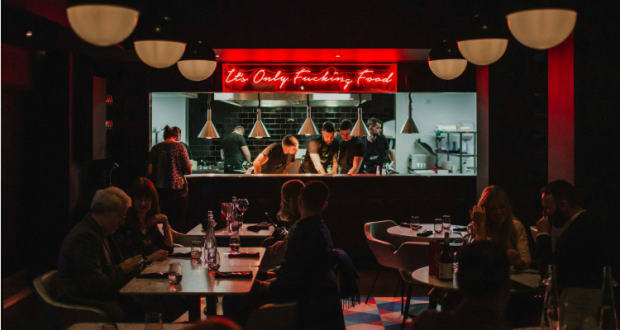 Spearheaded by The Wilderness' Alex Claridge, the new concept bar and restaurant is inspired by 80s pop culture, taking you on a journey through bold flavours with an injection of fun. Head downstairs, where a 42-cover restaurant serves up diverse Japanese and Chinese food, cooked over Konro charcoal grills. Upstairs, the bar features a cocktail menu developed by World Class finalist James Bowker, while the interior is all about bold interiors, art deco seating and monochrome patterned floors. If afternoon tea is your thing, then you're in luck as MasterChef's Brett Connor has curated a tasting menu of sweet and savoury bites with champagne and cocktails to wash it all down.